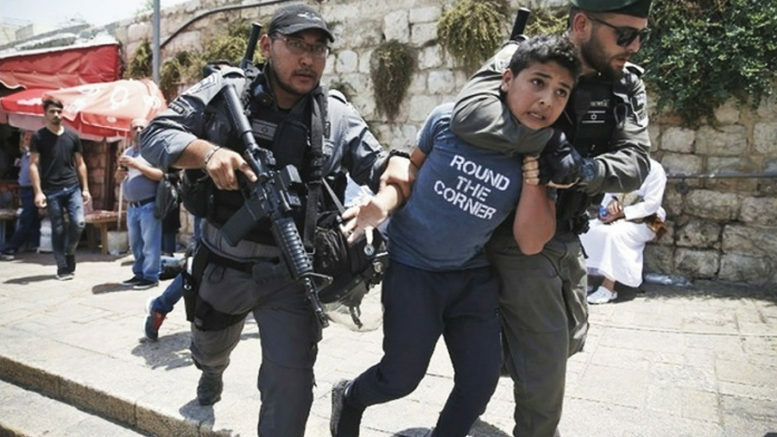 As the relentless attacks on the Palestinian civilian population by the armed forces of Israel, and claimed to be defensive, it looks more like as policy of collective punishment an a move towards an Israeli style final solution for an ethnic population those in power do not want to exist. Prisoners are treated on this basis and not on one which most of the world considers reasonable treatment. This is what it's like to be a Palestinian prisoner in Israel. 1 Comment on "Video: This is what it’s like to be a Palestinian prisoner in Israel"
The gross criminality of the Zionist controlled regime is parallel only two two other world forces, the USA actions, especially covert actions, and are even far closer to or actually far worse than were the Nazis in Hitlers time. These crimes against humanity are perpetrated against the people of Palestine by a section only of the Jewish people, a people who were targeted in a like way in the 1930s & 1940 by Hitler. It is exceedingly shameful that they have not learned from their past history. Or did they? It seems Zionism sees the rest of the world’s peoples’ are like cattle, only there for use thereof by Jews, Zionist Jews at that. Some Zionist leaders openly say that sort of thing. (Look on internet, there is plenty of it). It is this bunch of fascist minded superstitious Zionist graspers who bring great shame on all Jews, everywhere.